Click the image above to obtain a larger version (approx. 5 MB). Like all fractals, the Mandelbrot set displays self-similarity. 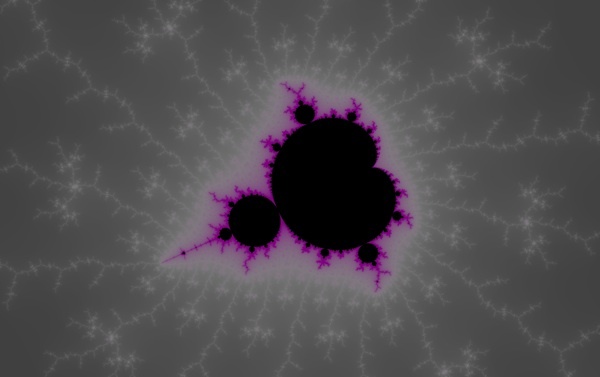 This particular miniature Mandelbrot image is only 70 millionths of a unit across, and 44 millionths of a unit tall. If we take one unit to be 1 cm, then this particular image would measure less than one micron across. To give you some sense of scale, one micron is about the size of a single virus particle.